Circa 2003 hipsters loved riffing on the staples of blue collar culture to be “ironic,” and the trucker hat was their cap of choice. 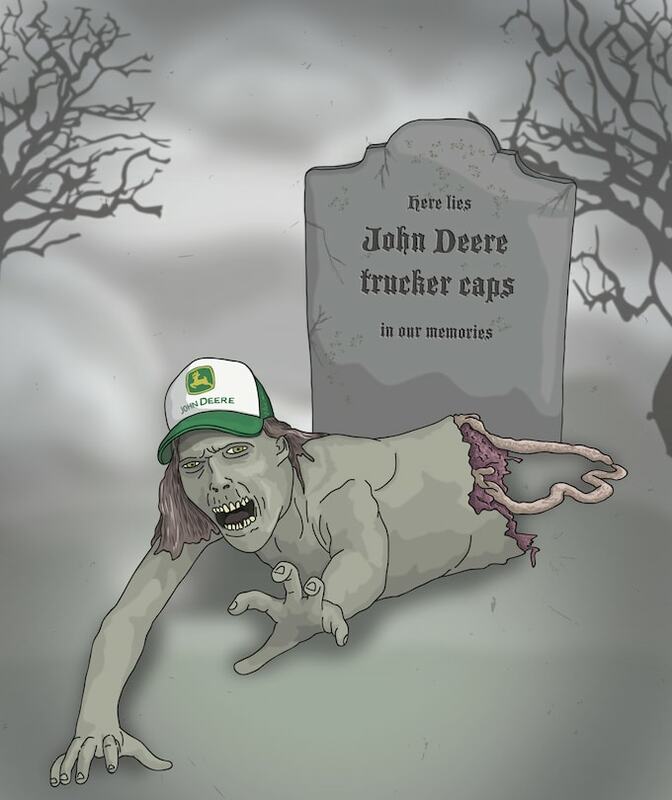 Vintage finds with logos like the John Deere tractor company or Pabst Blue Ribbon beer ruled the roost before the trucker hat was obscenely obliterated through douche-riffic brands like Von Dutch worn by cele-bro-ties like Ashton Kutcher. Sure, Pharrell's N.E.R.D. trucker hat became a streetwear style staple of the time, and brands like Supreme readily make different versions, but the mesh-crowned headwear's blue collar roots are all but forgotten, and anyone trying to hold onto those good old days only looks left behind.